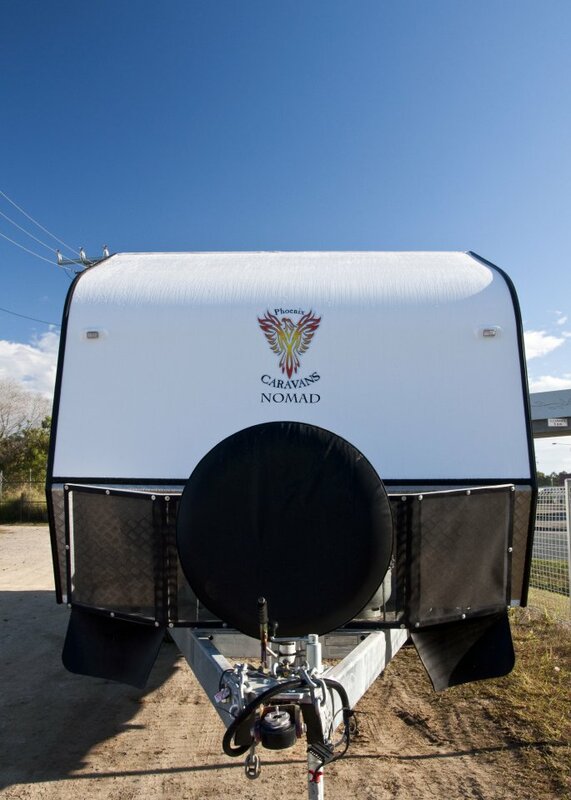 The 2013 Phoenix Nomad Caravan has been exclusively designed with exquisite features and groundbreaking capabilities. With attention to every detail, luxury is unlimited. You will be able to make the most of the great outdoors and experience life’s most memorable journeys. 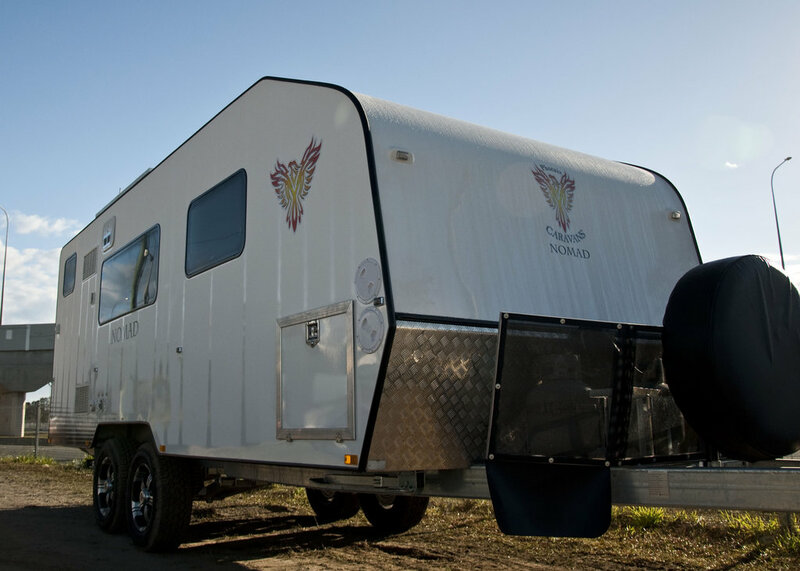 The Nomad’s internal features embrace all the creature comforts of home. 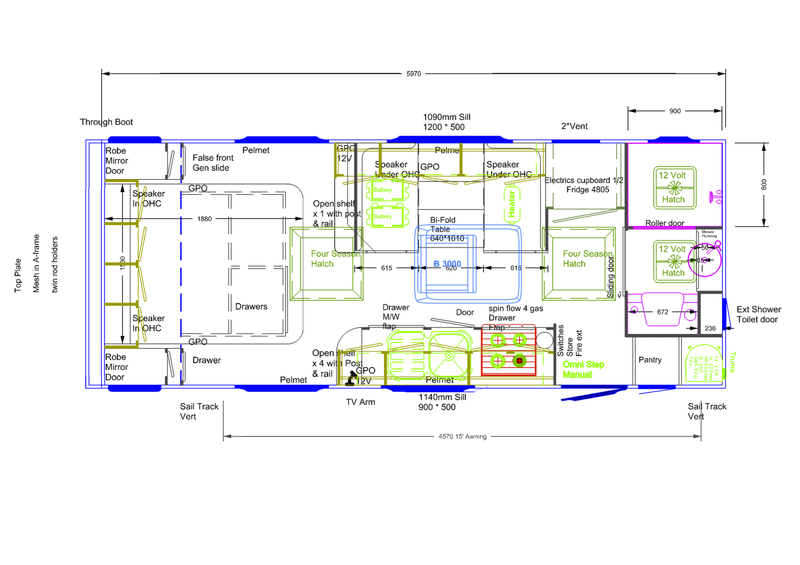 Included in the design is a Dometic 175L compressor refrigerator, a stainless steel range hood, a microwave and a 3 + 1 gas/electric burner and grill. 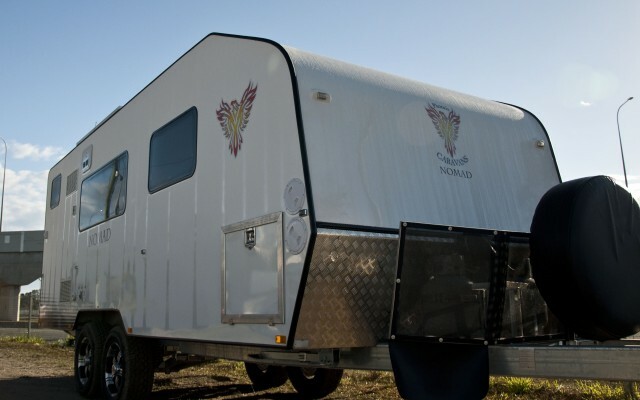 Essential for travelling adventures in Australia the Nomad also contains a Dometic B3000 Reverse Cycle Air Conditioner. A practical yet lavish ensuite overwhelms with its spaciousness and modern feel. A toilet, shower and elegant vanity show off this inspirational design. Entertainment devices in the Nomad are abundant. A 22” LED TV, premium stereo with DVD/CD/MP3 and internal and external speakers are just some of the awesome entertainment technology incorporated into the Nomad. State of the art electronics including two 190watt Solar Panels and a 130amp LIFe battery ensures reliability when you need it the most. 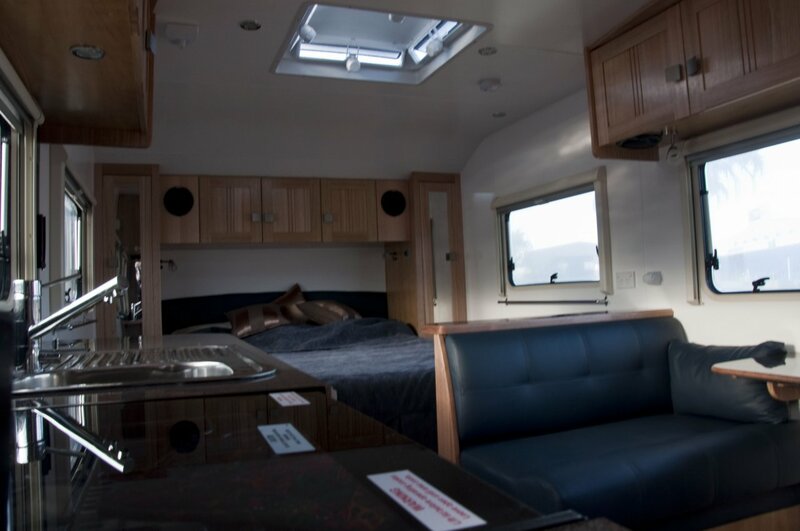 The innovative layout of the Nomad incorporates LED lights, genuine leather upholstery, a full queen bed or two single beds and solid timber cupboard doors with acrylic paneling. 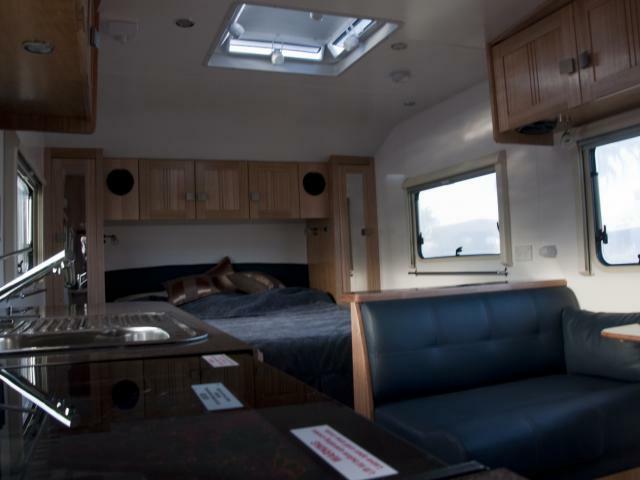 Meal times will be easy and enjoyable with the spacious Café Dinette or L shaped lounge. 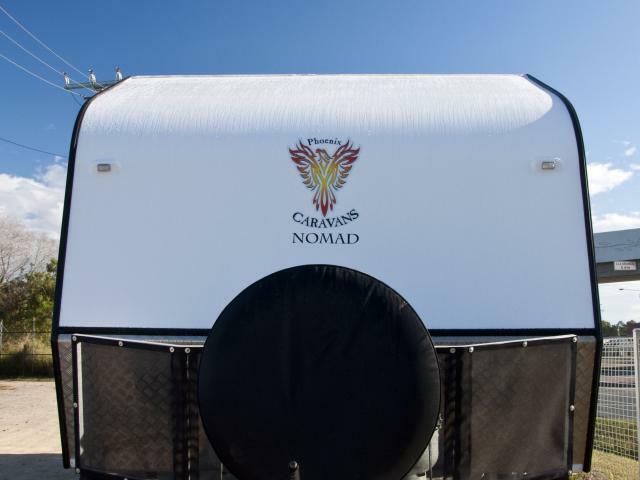 The Nomad has an impressive list of stylish and practical exterior features. Stone protection across the front, a composite Fibre Glass floor and insulation in the roof, floor and walls. An awning and thru boot add to the practicality of the caravan. 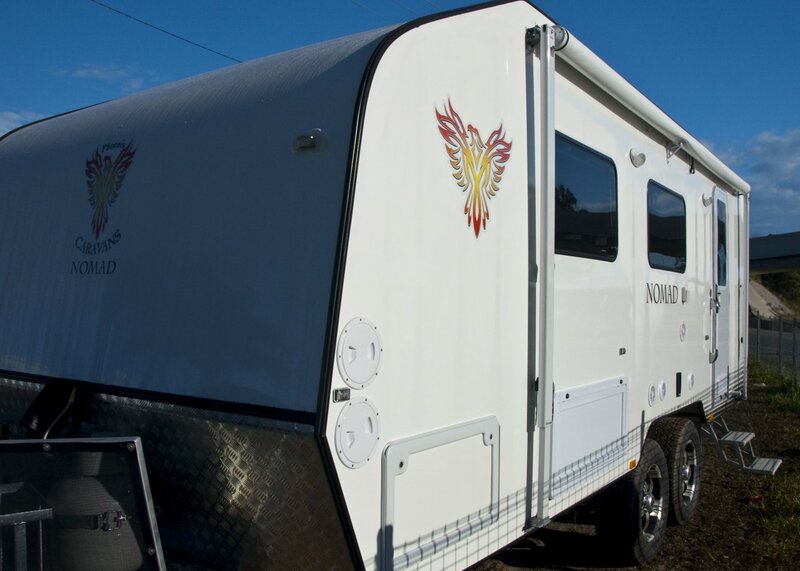 Progressive engineering techniques has enabled the construction of an exceptionally versatile caravan that has a lightweight composite chassis, Cruise Master Independent Coil Suspension with 8 shock absorbers and 10” marinised breaks. A Nomad will enable you to experience many escapades in nature’s play ground. With an opulent interior, modernistic exterior and construction designed to endure the toughest of terrains you will be primed for adventure. Put it on your shopping list and let your journey begin! 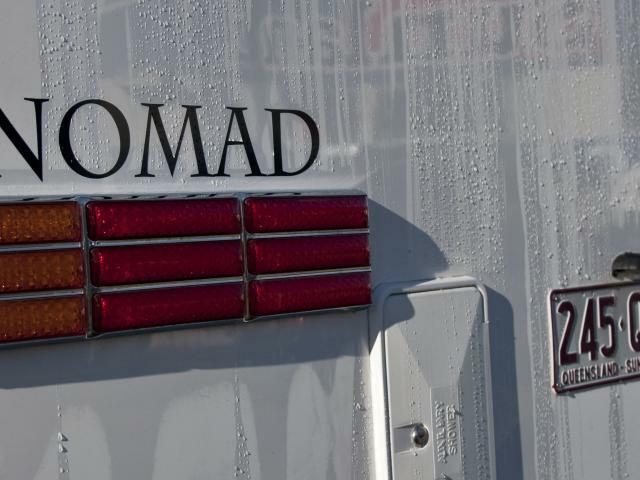 Since we took delivery of our Phoenix Federation Nomad caravan in October 2007, we have been on the road almost continuously. 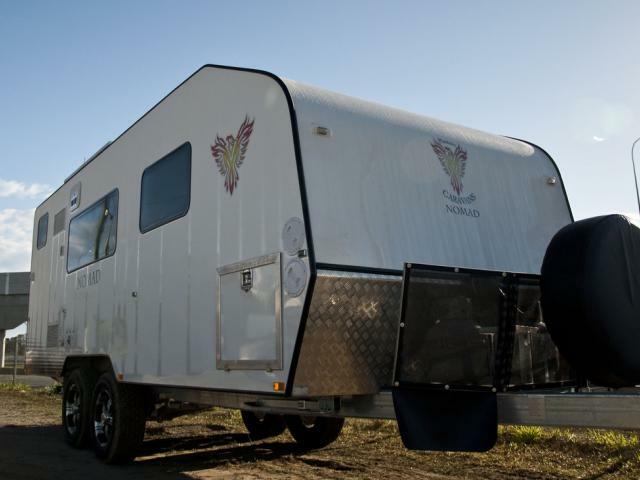 Our Phoenix has now covered 17000kms of varied terrain – we have free camped approx 1/3 of our travel time and found all the features of our van to work to a very high standard. 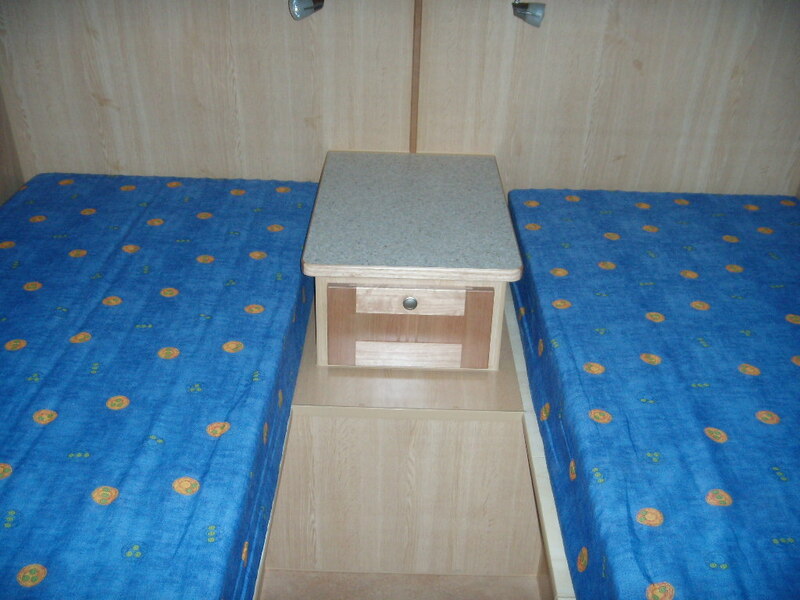 Particularly the in-house integrated solar system. 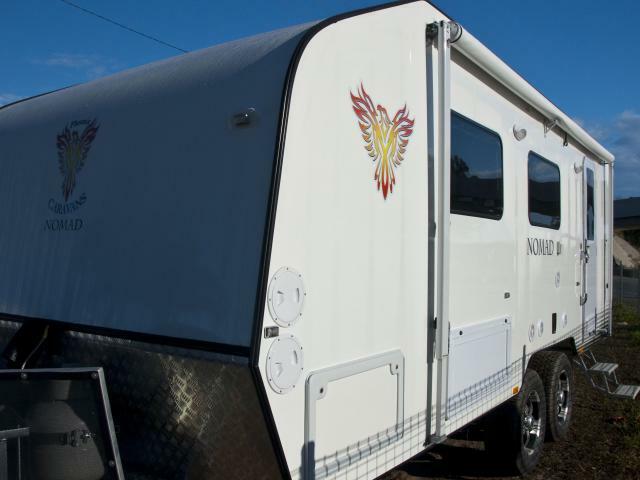 We have no hesitation in recommending the Phoenix caravan to anyone and would welcome any prospective buyer contacting us for our opinion.